Get the best ethical, sustainable brands delivered to your inbox each week. Thank you for signing up for DoneGood’s newsletter! Check you inbox for an email containing exclusive discounts on brands that make the world better. 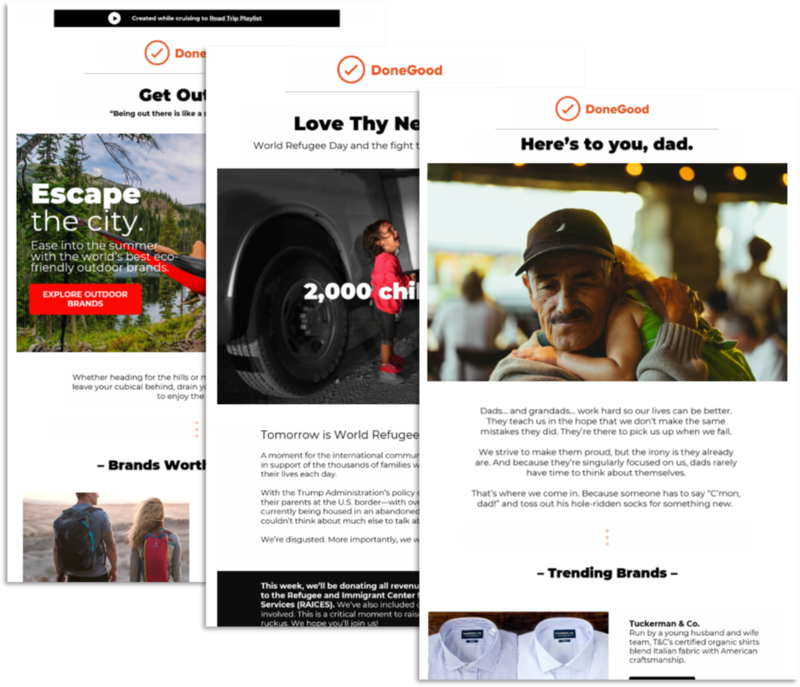 The DoneGood newsletter contains useful stories, news, and resources to make you a more empowered consumer. And by signing up, you'll instantly receive exclusive discounts (20% - 50% off) on thousands of products from DoneGood-approved brands.